Terrestrial, lithophytic or epiphytic plants. Rhizome short-creeping or erect, sometimes producing tubers, producing stolons that root and form shoots. Stipe not articulated; stipe and rhachis adaxially with a longitudinal groove. 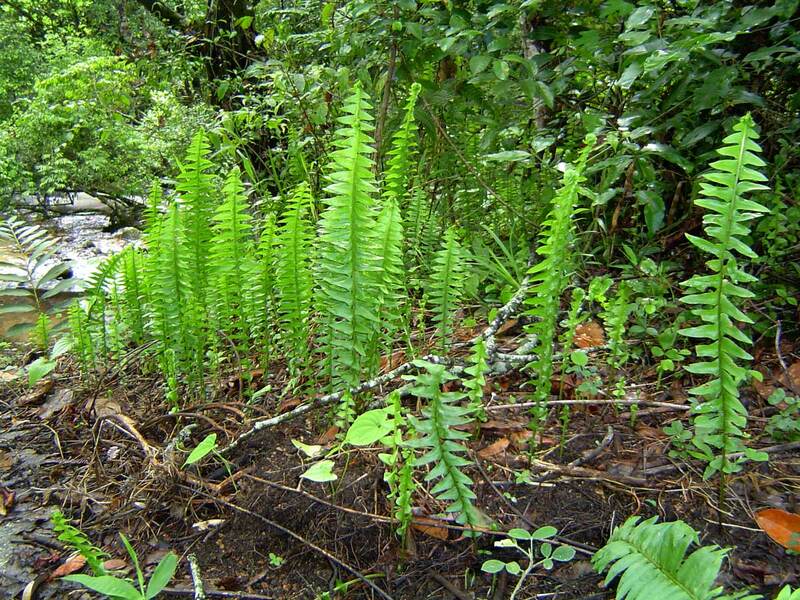 Fronds monomorphic, numerous, pinnate; pinnae articulated to the rhachis. Venation free, ending in a hydathode near the margin. Indumentum composed of peltate scales on the rhizome, axes and lamina surfaces, and 2-3 celled glandular hairs on the lamina. Sori round to oval or linear terminal on the veins, indusium kidney-shaped or linear, entire, opening towards the margin; homosporous. Comment: Nephrolepis is sometimes placed within the family of the Davalliaceae or Oleandraceae, to which it is closely allied.